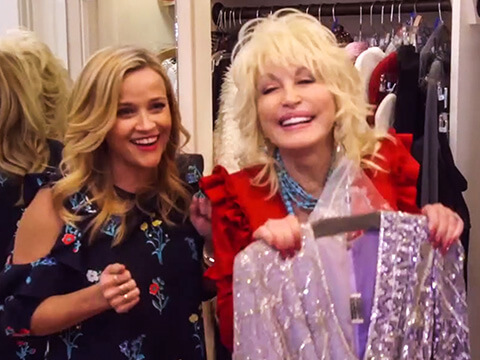 Dolly Parton Is First Guest On Reese Witherspoon's "Shine On with Reese"
When debuting a new unscripted television series featuring extraordinary women, Reese Witherspoon called on Dolly Parton for the first episode. In nine unique episodes, the series highlights inspiring women who blazed their own success trails. Reece visited Dolly’s home where they sat down to breakfast. They talked, laughed and Dolly even let Reece raid her closet. Dolly shares some great stories from her days with Porter Wagoner and from her time on blockbuster movie sets such as “Steel Magnolias” and “9 to 5.” She also talks about how she used her dad’s advice throughout her career to make some of her wisest moves. They discussed the challenges faced by women in the entertainment industry and the workplace in general. Both Dolly and Reece champion the need for women to support one another in all walks of life. Soon, Dolly pulled out her guitar and together they sang Dolly’s song, “Coat of Many Colors.” They talked about the philosophy of that story and how it is now a book in Dolly Parton’s Imagination Library. The Imagination Library, which Dolly started over 20 years ago, has mailed over 100 million free books to children around the world. Later, when they visit Dolly’s chapel, they share a very special moment of inspiration and reflection. Reese talks about how Dolly has inspired her and so many others like her. Watch the first episode of “Shine On with Reese” starring Dolly Parton for free. 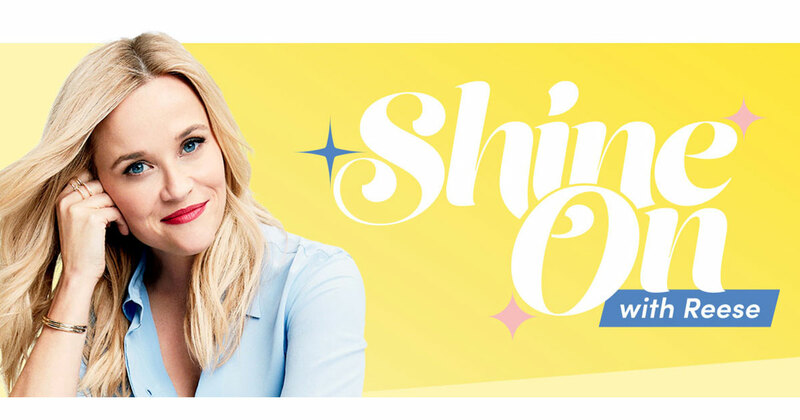 Executive produced by Reese Witherspoon, the show airs on the Hello Sunshine channel on DIRECTV and DIRECTV NOW.